A variety of timbers are used with the main timber used being Treated Pine Weatherboard R/S. 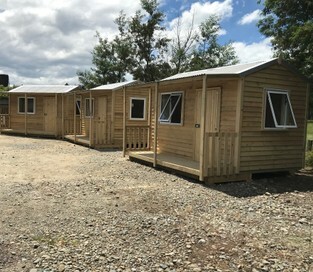 Our buildings are all KITSET which means they can be taken into almost all areas they are needed. Buildings are quite straight forward but it does help to have some DIY knowledge.